Fly Below the Radar isn't only the name of the latest album by Minibar, it's the band's career strategy - for now, at least. Three years ago, the alt-country foursome was relocated from its London base to L.A. by Universal Records, which paid an extraordinary half-million dollars to record its debut album, Road Moves. The label hired Grammy-winning producer T-Bone Burnett (O Brother, Where Art Thou?) and spiked the trade magazines for months with column items on America's next big band. The dream had a nightmarish edge, however. How much a label invests tends to correlate to how much creative control it exerts over an act. "We were under so much pressure to do a pop album," says Minibar drummer Malcolm Cross, in between forkfuls of salad at Marina del Rey's Pasta Factory. When the band didn¹t produce to specification, it was dropped. "It sort of liberated us," says Cross. "You go, 'Oh, thank God, now we can just please ourselves and stop trying to have magic formulas.’ "
In contrast, “Radar" was recorded in its entirety before L.A.-based indie label Foodchain Records agreed to release it this week. "That doesn't happen very often," says Cross. "Generally, a record company will get demos and go, 'This is great, let's change it." The album marks a return to the band's natural noise, a three-part-harmonized, country-rock/Britpop blend evocative of a party where Wilco and the Lemonheads jam together in the living room until 2 a.m.
Standout tracks include the ethereal "Breathe Easy," a Gram Parsons tribute ballad called "Badlands," and "Somebody Down Here Loves You," an atheistic barb directed at the fathers of both singer Simon Petty and guitarist Sid Jordan, vicars in the Church of England. Hailed by the L.A. Weekly (which nominated Minibar for best new band in its critics poll), "Radar" was produced by Dusty Wakeman (Lucinda Williams) along with Rami Jaffee and Greg Richling of the Wallflowers. "A mutual friend played with the Wallflowers at the time," says Petty, Minibar's chief songwriter. "He said, 'Those guys are gonna love your CD.' And we said, 'Get away.'" "But he passed on the CD and they loved it." 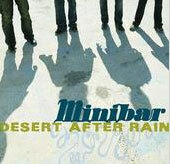 Minibar was formed in 1995 in London, where it was not easy for a band that plays Americana music to generate interest. "To think that if you were in a professional band, you would have to play covers in pubs all the time," Petty says, as Jordan--the band's other songwriter--intones the lyrics to "Miss American Pie" behind him. The hokey banter comes quickly to four men in their 30s who must share bedrooms. Petty rooms with bassist Tim Walker, and Cross with Jordan, in a two-bedroom Santa Monica flat. "We’re like the Beatles in 'Help,'" Petty says. "No, no!" Walker interrupts. "What you were supposed to say is, 'We're never home so it doesn't matter.' It sounds more rock 'n' roll." Since arriving in L.A., Minibar has been grouped in with the new country scene centered around the monthly Sweethearts of the Rodeo gigs at Molly Malone’s in L.A.'s Fairfax District. "We're proud to be associated with that scene," Petty says. "But it's weird, because we always feel like we're honorary members, like we're not fully part of it, because we're not from here." The members of Minibar say they're glad to have glimpsed the mountaintop before tumbling back to the foothills. "Anything that really was negative about the way in which the Universal deal fell apart only drove us to become a tighter unit as a band," Petty says, "musically and personally, but especially musically." And the tumble downhill wasn't all that far because of how the deal was structured. Very little of that $500,000 actually went to Minibar. "They paid us only $1,000 a month each," Walker reports. "They were always incredibly stingy with money. We lived half an hour from the studio, and rather than allow for a food budget, they would say, 'You can go back to the house, make yourself sandwiches and come back.'" "Meantime, the producer was earning $3,000 a day." If talent is the type of indicator it should be, Minibar will be able to afford separate bedrooms any day now.